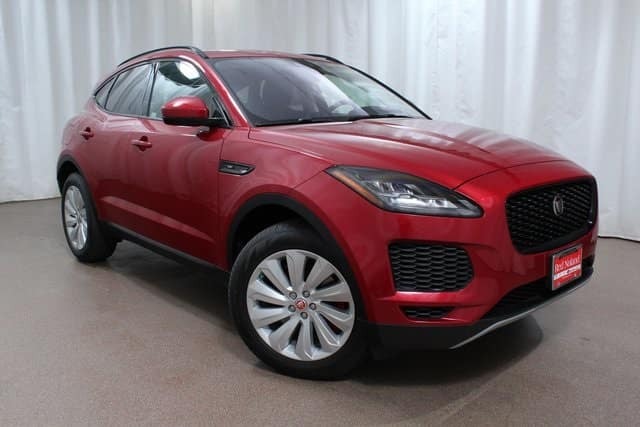 At Jaguar Colorado Springs we have an impressive inventory of luxurious Jaguar vehicles in stock – which includes five 2018 Jaguar E-PACE SUVs in different trim levels! The E-PACE pictured above is an SE model with a stylish exterior, luxurious interior, and an impressive price tag. At just over $50,000, this is luxury with an affordable price tag! Equipped with a 2.0L turbocharged engine and paired with a 9-speed automatic transmission, you can expect an estimated 21 MPG city/28 MPG highway fuel economy! Plus, you can enjoy a variety of innovative features including 4G Wi-Fi Hotspot, navigation system, smart device integration, rain detecting windshield wipers, engine auto start/stop feature, and blind spot assist. If it’s time to upgrade to a luxury compact SUV, stop into Jaguar Colorado Springs to check out our inventory of the 2018 Jaguar E-PACE. We would be happy to show you the many features that will make each of your drives, from daily commute to family road trip, great. Take a test drive and experience the powerful performance that will be yours when you drive home a Jaguar E-PACE.